Amazon seemingly wants to take over the world. In a nice, non-dramatic and world-ending way, of course. It’s doing that by cornering the online shopping market, expanding into other areas, gobbling up businesses, and, of course, having its own extensive range of hardware. 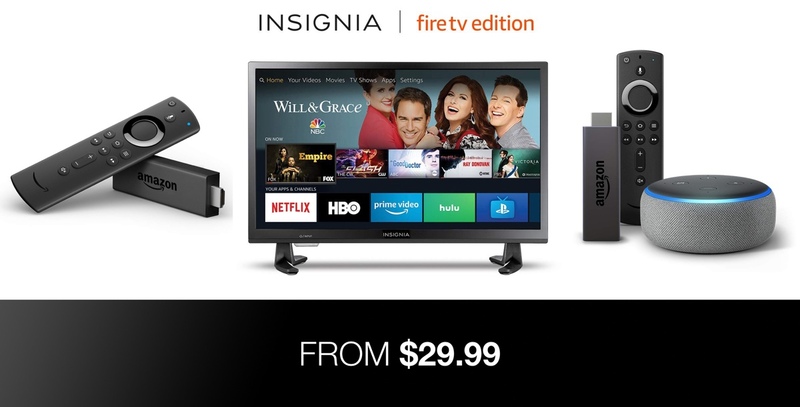 In order to convince consumers to bring more Amazon gear into their homes, the company is offering an extensive sale of its Fire-branded hardware. Amazon’s hardware business has performed perhaps well beyond what anyone could have expected from the Echo side of the ecosystem. Some people prefer to stay away entirely from that type of product, but others around the globe have been quick to adopt Amazon’s Alexa-powered Echo devices – which includes Echo, Echo Dot, Echo Show, and Echo Spot – due to their relatively low cost and high performance. The same can be said for the company’s Fire-branded products, which are what is on offer right now. As part of this deal, you pretty much have your pick of products. If you want to own a brand new Fire TV Stick 4K complete with Alexa-compatible remote, then you can, and get a discount to boot. If you want the Fire TV Cube in your life, then, as you might guess, it’s also on offer. Amazon wants you to take this hardware off its hands and we have the deals exposed below!